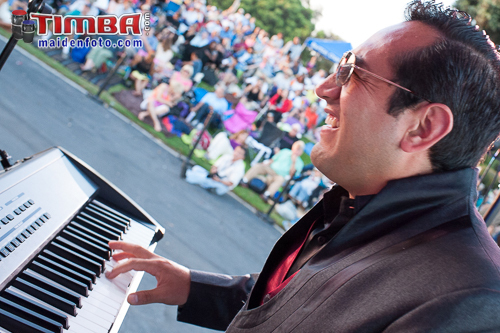 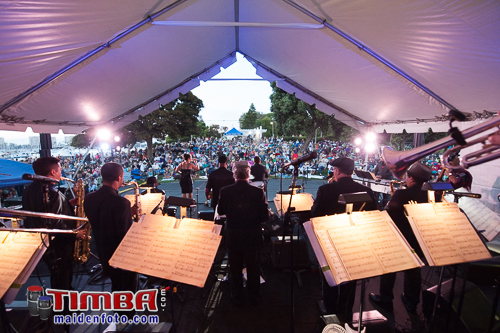 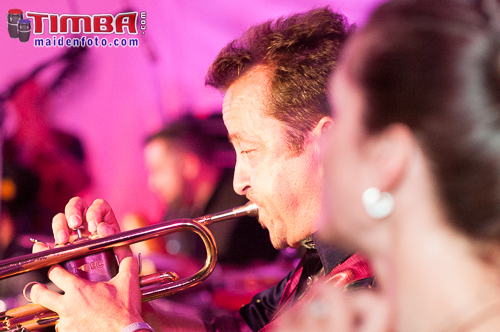 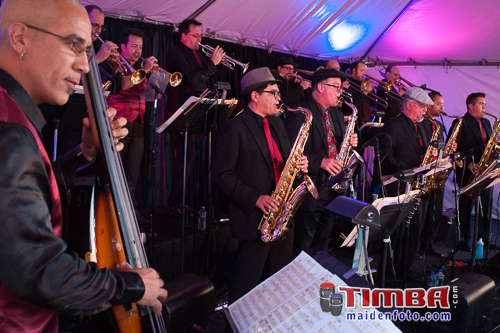 Marina del Rey Summer Concerts in Los Angeles offered a show by the Pacific Mambo Orchestra in the early evening of Saturday August 30. 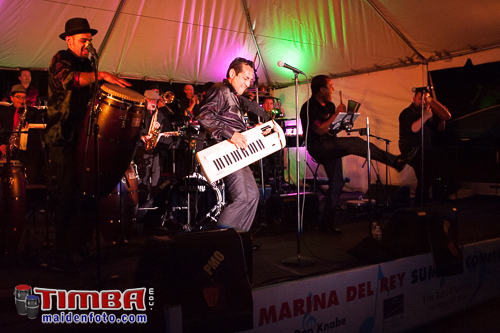 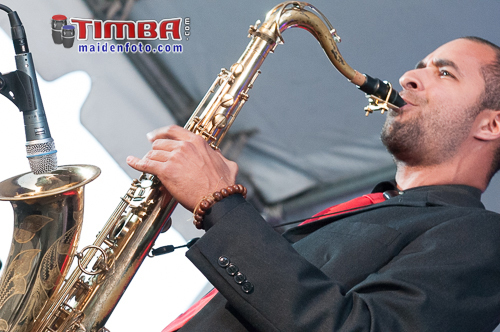 The concert was in the harbor of the oceanfront town, and a rather big crowd gathered to bar-b-que and listen to the Bay Area’s most prestigious Salsa band. 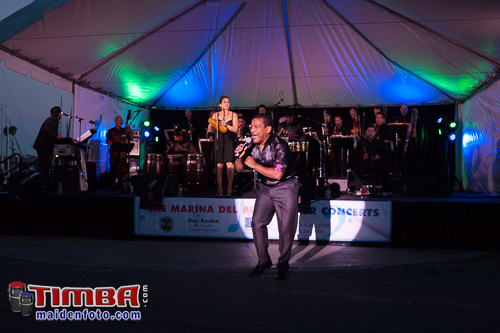 PMO had a full complement of musicians, all sounding great, and the singers were Alexa Morales and Armando Córdoba. 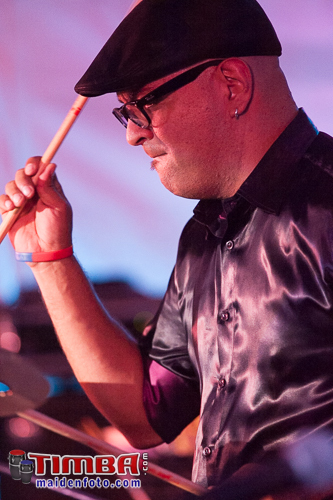 Morales has three albums out, a new book on music development, and a YouTube channel. 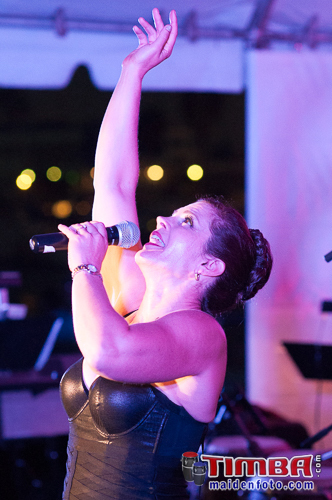 She has experience in jazz and R&B styling, but is now filling out the role of lead singer within the tighter constriction of PMO’s requirements: she is the only woman in the band and has the voice that approaches the audience most directly. 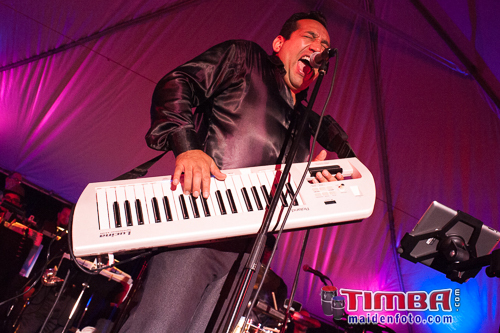 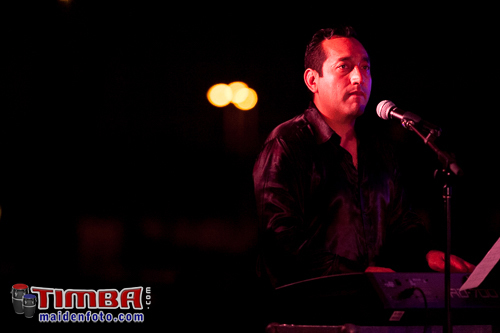 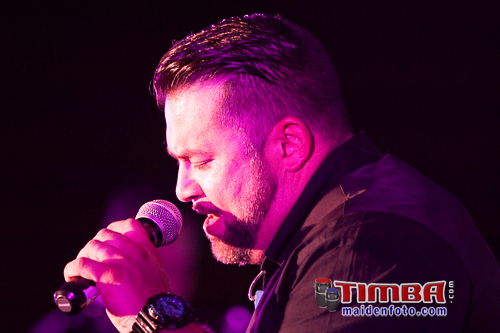 Córdoba is a seasoned and accomplished singer who co-founded Avance, a very popular San Francisco band. 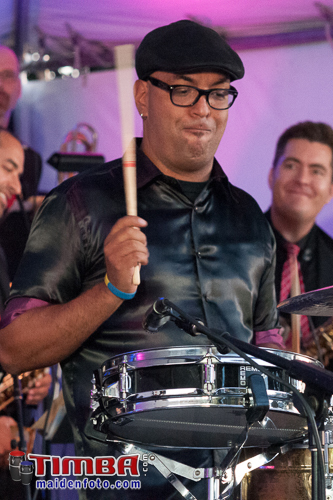 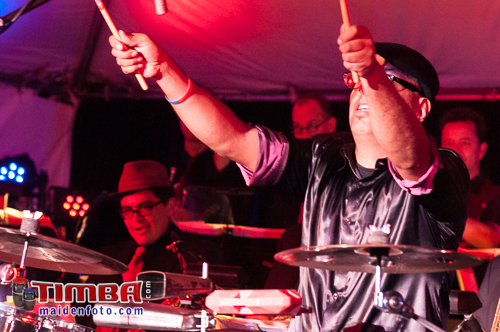 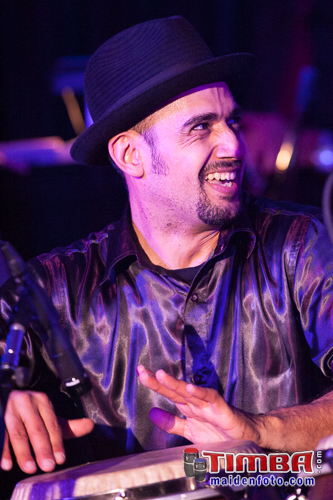 At the close of an excellent performance, Omar Ledezma brought the “house” down with an unprecedented timbale solo—even some of his bandmates seemed amazed at how extravagantly it was executed. 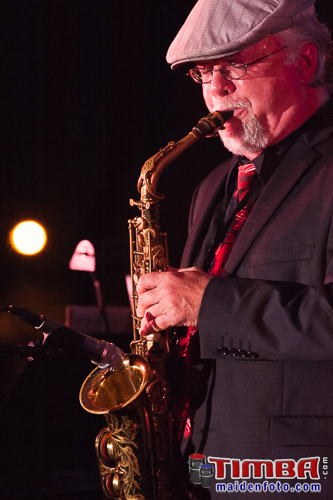 PMO’s Grammy has set the tone for a series of great performances, and LA was taken by storm. 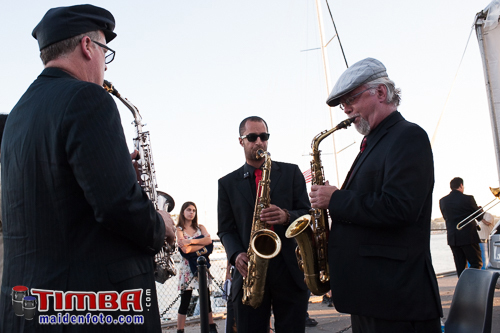 Pacific Mambo Orchestra sax players warm up on the dock. 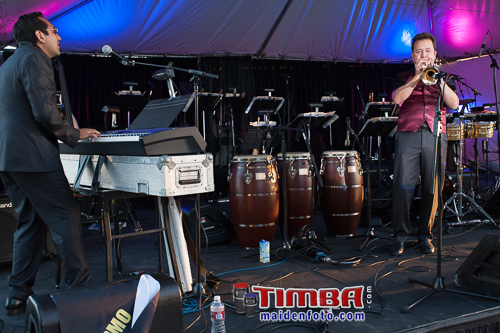 Alexa Morales and Armando Córdoba prepare to go on stage at the beginning of the performance. 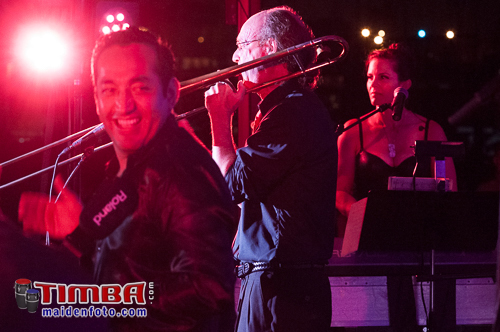 The band and the audience. 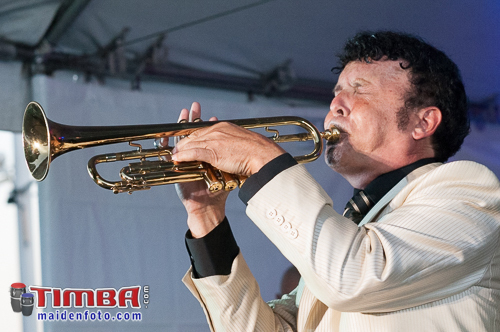 Derek James takes a solo on trombone. 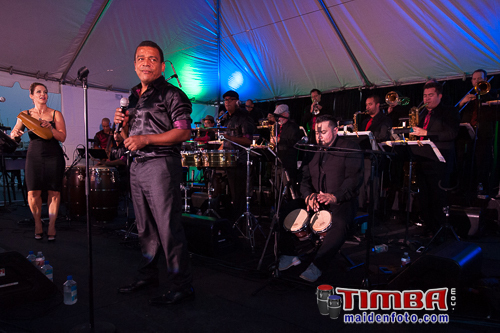 Braulio Barrera takes to the floor. 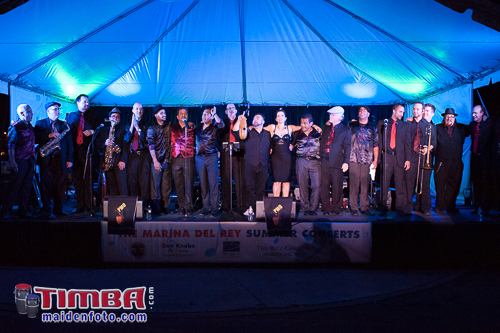 The band takes their bow.